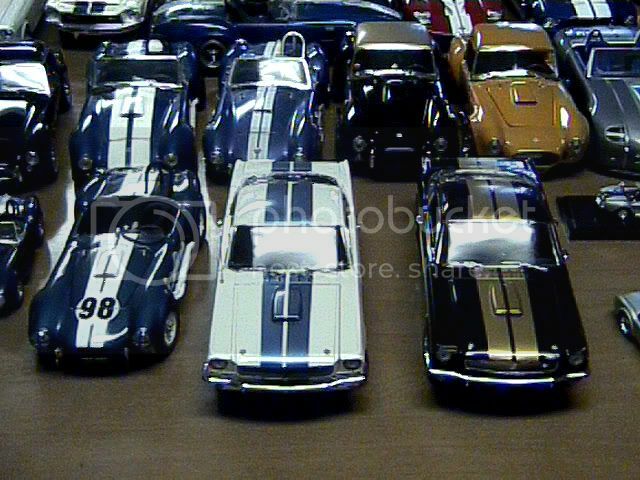 if you have a Shelby Cobra Die-cast Collection , and have pictures of it , please post here.Would love seing other peoples "Snake Pits "
Here's one from my collection that I have hosted at the moment. 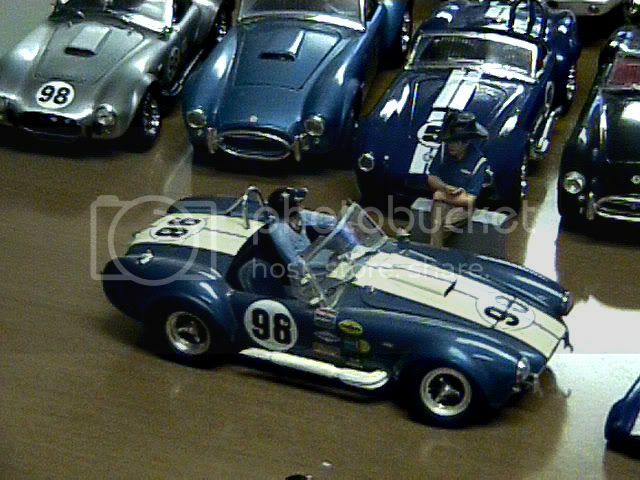 It's a 1/18 Lane Shelby Mustang with a Paxton SC signed by the man. Interests:cars, all things 50's and tiki...no laughing! 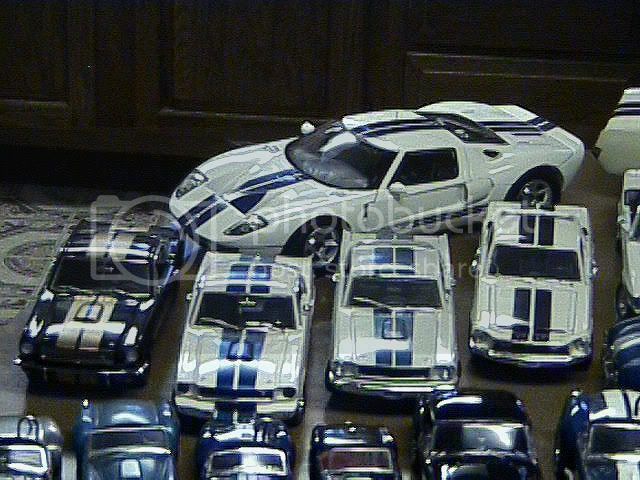 iF THIS THREAD TAKES OFF A BIT, i WILL PICK A COLLECTION A WEEK AND SEND some of THE NEW SHELBY DIECAST, SO TELL YOUR FRIENDS TO POST HERE, and lets see those collections!!!!!!!!!!!!! Working on some collection pics, how about an old illustration I did years ago! This is not a Shelby car, but Carroll had a large say in it's R&D. This one is made by Hot Wheels and has unparalled detail!! Those are nice, and very hard to find. I have one signed by GT designer Camillo Pardo. These are NOT Shelbys either (obviously) however, one of these is extremely rare and both were on the shelf at another WallyWorld collecting dust!! 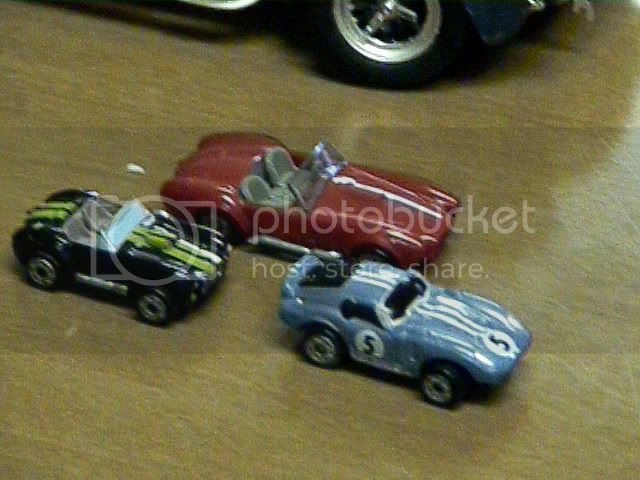 A pair of '70 428 CJ's..... also made by M2 and fairly highly detailed. $20 a pop!! 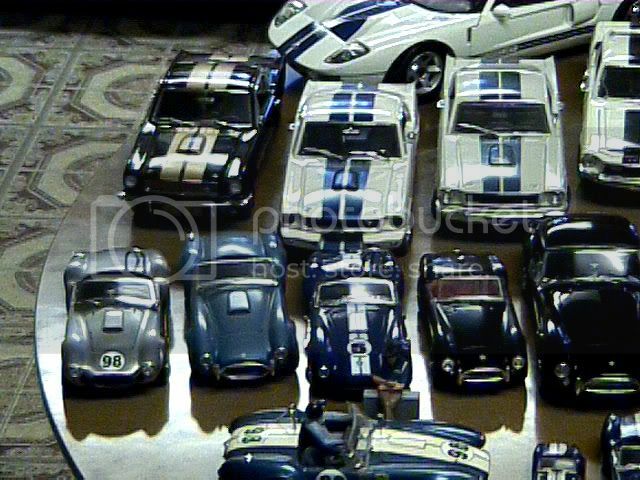 Sorry for once again bastardizing the Shelby Collectibles thread. m-2's are really nice. 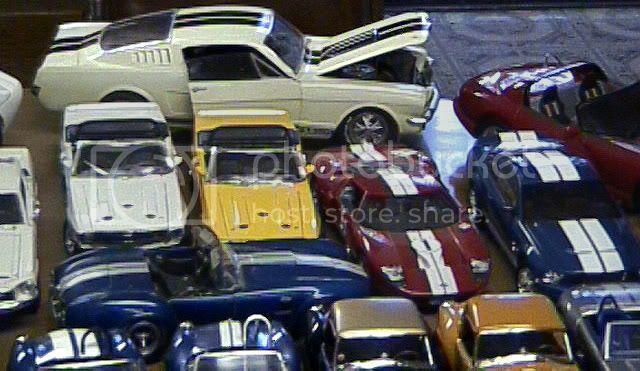 I have the 1:64 twister car but never found the 1:24 scale. He did a painting of a '69 GT500 for a friend of mine and when he delivered it (in a Ford GT no less!) 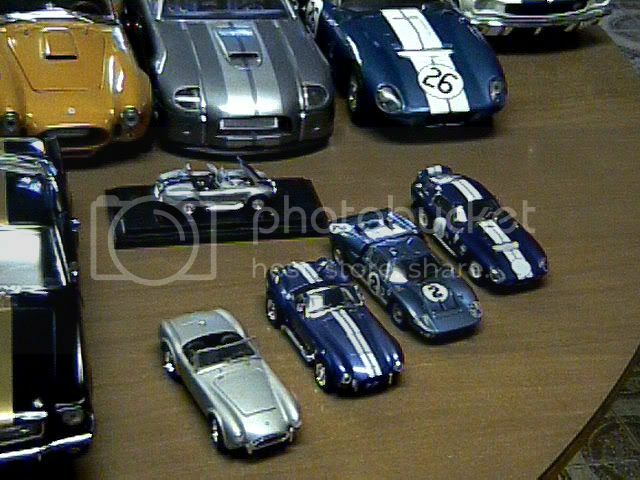 I was able to have him sign some Ford GT stuff, including the HW diecast. Not exactly "die cast"....more like a big hunk of what feels like bowling ball material??? Came from the Hallmark card store and is made by SpeedFreaks. Basically a giant paper weight! 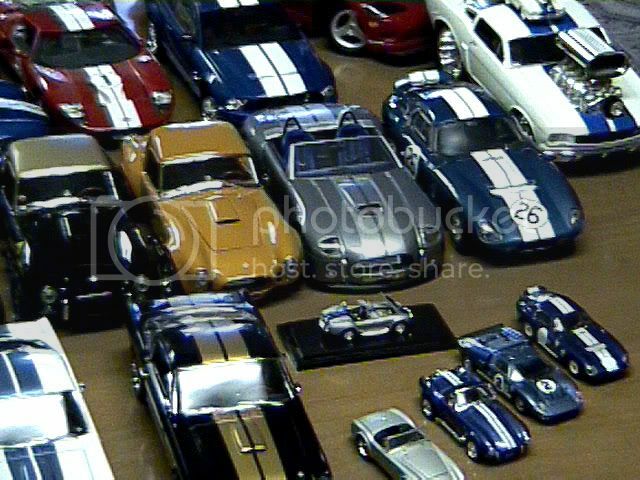 Give me about 6 months then I will show you the best Mustang/Shelby/Cobra/GT40 1:18 diecast collection in the world! Got the Hertz version. 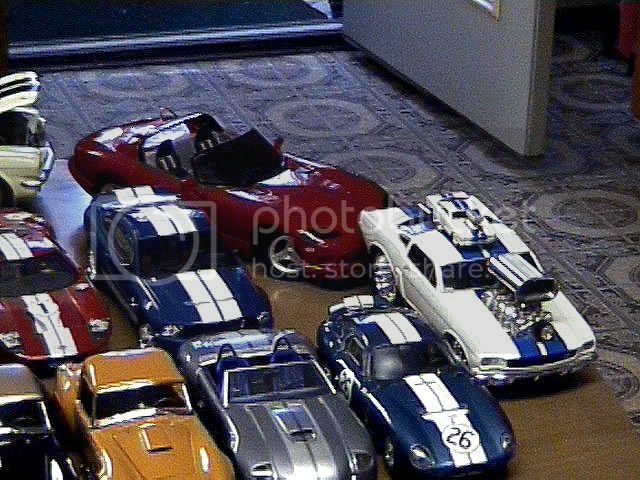 Love them, and will probably geet the Cobra later on as well. The car that started the whole "train-a-rollin'" some 50 years ago! 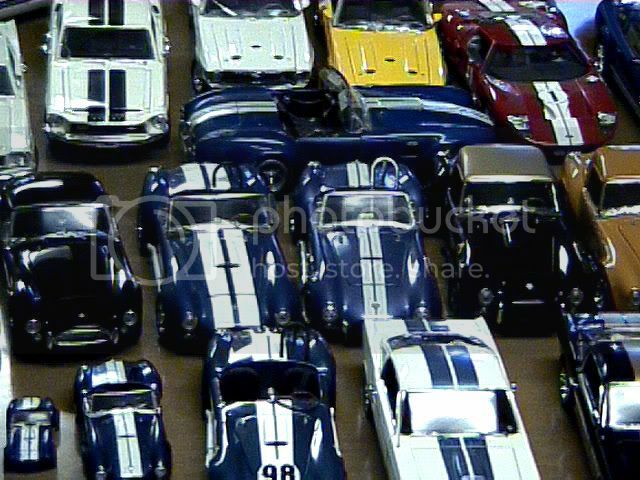 ...The reason we are all together here on this very forum, because without THIS car, Carroll Shelby would not have had the canvas to create such magic and therefore forge the friendships that have been made on this and many other forums. A very highly detailed and intricate piece. Sweet little ride!!! It's got great detail.....I like it!